A little art work arrived in the post a few days ago. 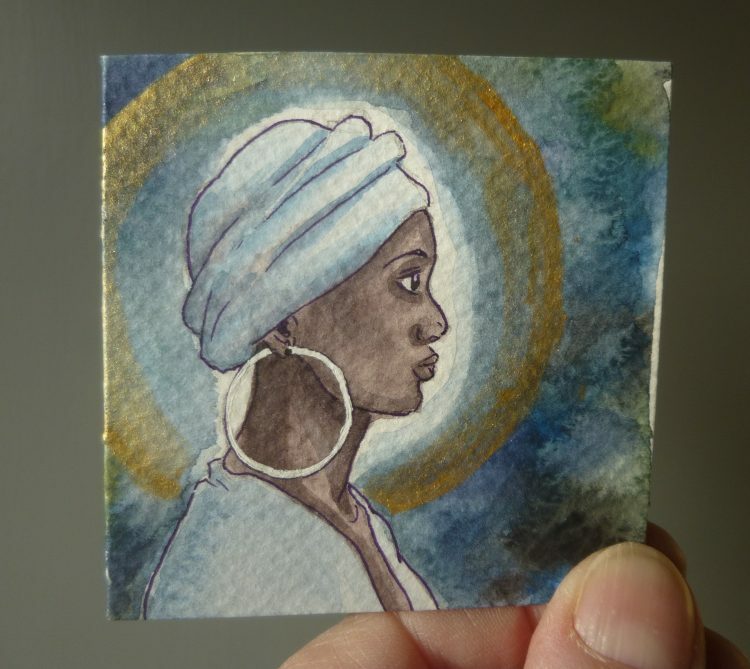 An angel designed and painted by my Norfolk Niece – it is only 3 inches square, and she had made a tiny envelope to fit it. The angelic nature is only revealed when the card is opened out.
. . . and open! 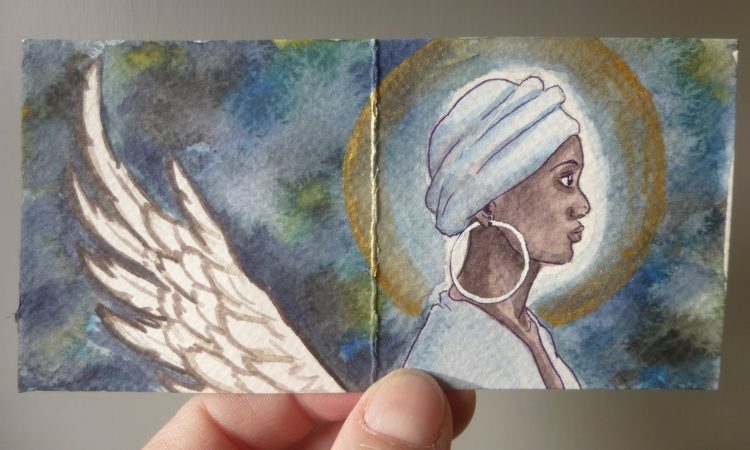 She had made over a dozen of these angel cards, each one different. And each one a new ‘take’ on an angel, not the cliché of blonde hair and blue eyes! Last night Graham and I really enjoyed singing to a packed church for the Service of Nine Lessons and Carols with the choir of All Saint’s in Maldon (the church where our new Arts Festival will be held next year). 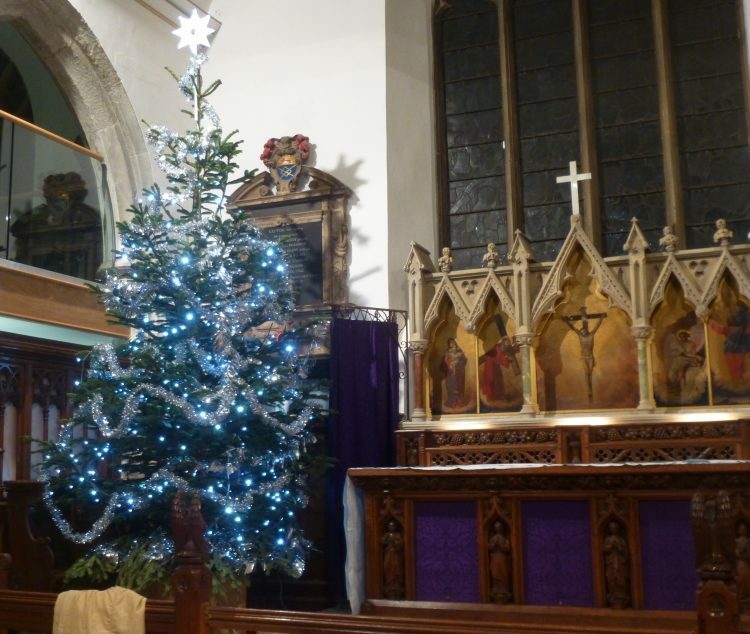 They had a super Christmas Tree in the sanctuary – really big! 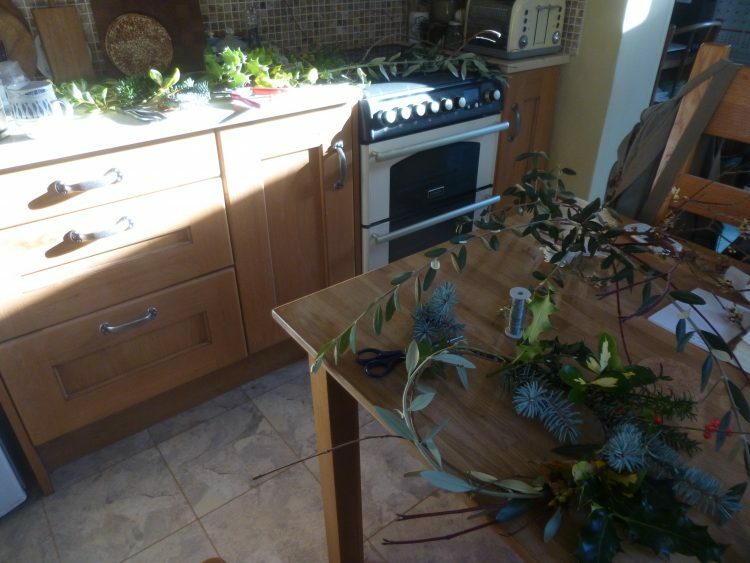 And thinking of Christmas greenery, I went round the garden a couple of days ago and collected up a big bundle of clippings to make some Christmas wreaths. 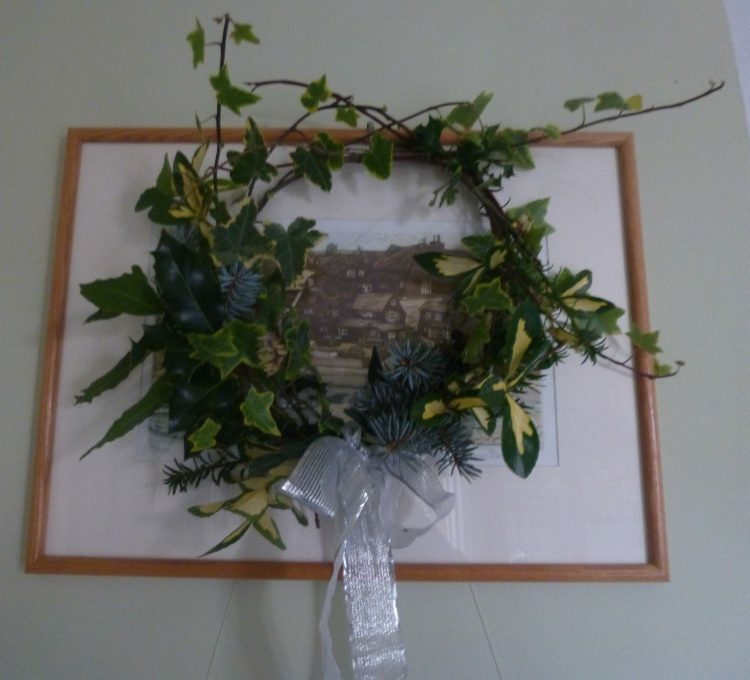 And my second attempt, which turned out much better, which is hanging temporarily over a picture but which is actually for my sister’s house. 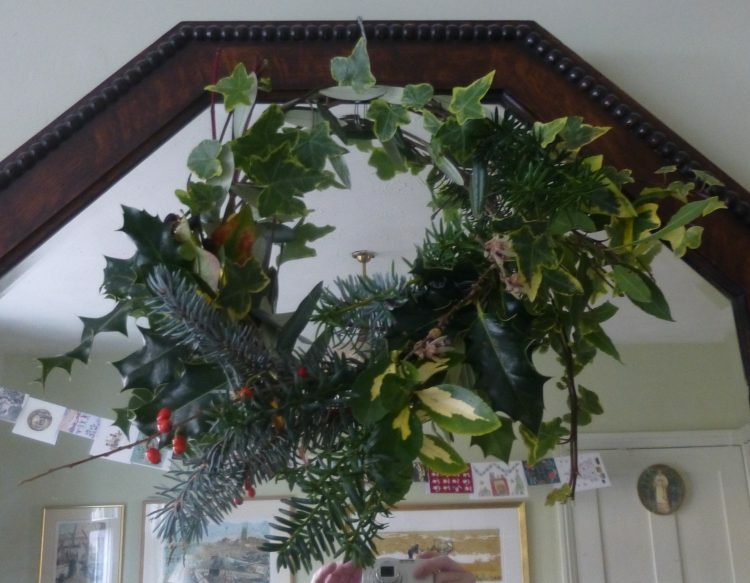 I got the idea from Seasalt, who are a Cornish clothing company – they have a little tutorial on their blog if your google them!